My garmin showed that I avergaed 373 and covered 6.44 miles at 25.5, just a few watts off my November effort but 18 seconds slower. Cadence at a solid 91. 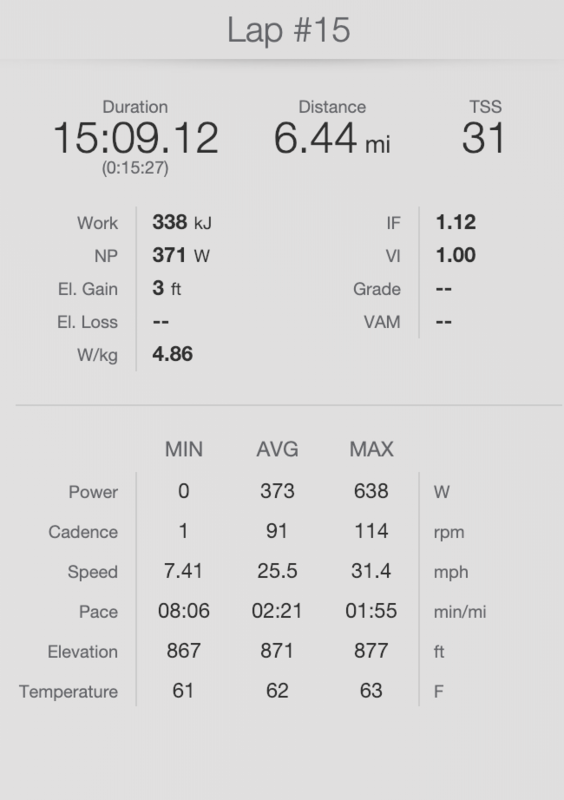 Compared to my history on the course and that power should have been faster. We're back at it in two weeks.